This schematic covers the complete Rainbow R-2800 power nozzle assembly that includes the motor, brush roll, and pivot arm. This common screw fits several model Rainbow vacuums. Main housing on the D4 and also the R-series power nozzle. Check the schematics page to make sure for your application. Original factory OEM chrome sole plate for the R-4375C, R-2800C, R1650C, and R-1650A model power nozzle. Wire insulator for the R-4375C, R-2800C, R-1650C, and R-1650A power nozzle. This is the standard motor mount screw for the R1871 power nozzle motor. If the main housing mount is broken and does not allow for you to use this screw, then you can order an R1716 motor mount strap along with (2) H515 screws for an alternate way of mounting the motor. Air barrier to fit over top the R1871 side belt power nozzle motor. Helps keep dust and debris out of motor. The motor in your R-series power nozzle can last a long time, but eventually will wear down and need to be replaced. Original OEM factory motor for the model R-4375C, R-2800C, R-1650C and R-1650A power nozzle. If you experience a burning smell or see a blue arc from the side of the main housing, this may be the item causing the issue. If you have a metal sole plate that you remove with two screws, then this is the correct part. This item includes the R3550 motor shaft sleeve to help with belt performance and torque. Replacement carbon brushes for the side belt power nozzle motor. End bronze bearing / bushing for the R1871 side belt power nozzle motor. For the low cost of this item, well worth replacing as it is a wear item. Brush roll seals for the R-4375C, R-2800C, R-1650C, and R-1650A power nozzle. Metal brush roll keeper for you side belt brush roll assembly that fits models R-4375C, R-2800C, R-1650C, and R-1650A power nozzle. Spacer washers for the side belt brush roll design. Will fit the R-4375C, R-2800C, R-1650C, and R-1650A power nozzle. Use these to remove movement from the brush roll when installed into housing. The brush roll has movement from one end bearing to the other which will create noise. Use these washers to remove this movement. You could use as many as (5) per side. Rubber cap that works with the R1744 bearing assembly to help keep brush roll in place. Fits the R-4375C, R-2800C and R-1650C power nozzle. Plastic pulley for the side belt brush roll design. Allows the belt to grip better and prevents slippage which will cause poor performance. 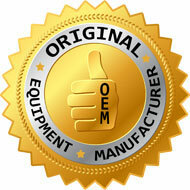 Original OEM pivot arm part for all versions of the R-4375C and R-2800C power nozzle. You can save time and effort by ordering the R3300 located under the "Related Items" tab above. Original OEM factory direct replacement pivot arm and housing assembly for the R-4375, R-2800, and R-1650 model power nozzle. Easy two screw removal to install in main housing. Previous markings on some versions may show R-1957. Original R-1650C and R-1650A power nozzle pivot arm kit was an R3301 and was the matching oxford brown color. That item has been discontinued and this item is a direct replacement. This felt pad goes across the back of the pivot arm to help seal air from killing your performance. Fits models R-4375, R-2800, and R-1650 power nozzle. Only one is used per application. Power nozzle wheel for the models R-4375C, R-2800C, R-1650C, R-1650A. During the late 80's on the R-2800C power nozzle, this part for a small period of time had a built in plastic axle that would wear out. If you have a plastic axle in the center of the wheel that wore out, please view the "Related Items" page to order the steel axle. Original factory OEM power nozzle housing. Current revision for the model R-4375C and R-2800C power nozzle. Both models use the exact same parts, they just look slightly different. This item is also an exact replacement for the R-1650C and R-1650A model power nozzle. The color is darker on this item compared to the light brown housing on the R-1650 series. *BE AWARE....this new housing will not accept your original circuit breaker. The only circuit breaker that will mount into this housing is the R8452. Replace your bumper if the corners are worn down and allowing the hard plastic to show through. Improved OEM factory gasket for the power nozzle sole plate and cover. This item is 12 3/4 inches long and helps seal the airpath inside power nozzle head. For application on the model R-4375C, R-2800C, R-1650C, and R-1650A metal sole plate, requires two. For application on the model PN-2E and PN-2 plastic cover, only requires one. Pilot light for the R-4375C, R-2800C, R-1650C, and R-1650A model power nozzle. Lead wire with terminal that connects to the motor and power cord on the R-4375C, R-2800C, R-1650C and R-1650A power nozzle. Circuit breaker for the R-2800C, R-1650C, and R-1650A power nozzle. If the light on your power nozzle stays on and you have to keep hitting this reset button to get the motor to run, then most likely this item is defective. If you experience overheating or squealing in your power nozzle, a damaged bearing may be to blame. Replace easily with this factory replacement. Original OEM factory end bearing / bushing assembly for the model R-4375, R-2800, and R-1650 side belt motor design power nozzle. Original OEM factory brush roll assembly that fits models R-4375C, R-2800C, R1650C, and R1650A power nozzle. If this is the first time replacing, it might not be a bad idea to replace your R1744 bearings as well. Original version was a dark brown and pressed wood (image two). The item has been improved to a hard wood design for better balance. Beater bar for the R1690 brush roll assembly. Replace one at a time to ensure correct install as you can install backwards. Will fit the R-4375C, R-2800C, R-1650C, and R-1650A power nozzle. Original OEM power nozzle pivot housing replacement part. You can save time and effort by ordering the R3300 located under the "Related Items" tab above. Clevis pin for the R3300 pivot arm and housing kit. If this part is rusted, then you need to figure out where you are picking up moisture. Fits models R-4375C, R-2800C, R-1650C, and R-1650A power nozzle. Power nozzle wheel axle for the models R-4375C, R-2800C, R-1650C, R-1650A. During the late 80's on the R-2800C power nozzle, this part for a small period of time was plastic and built into the wheel which would wear out. If you have a plastic axle in the center of the wheel that wore out, then please view the "Related Items" page to order the new design wheel that works with this steel axle. Lost or damaged e-rings are quick and easy to replace. ?This part holds the clevis pin in place which holds together the housing and the pivot arm on your R-4375C, R2800C, R-1650C, and R1650A model power nozzle. This may fit international model power nozzles but you should download the correct schematics for you model to confirm. Original OEM factory brush roll for the model R-4375C, R-2800C, R-1650C, and R-1650A power nozzle. Comes complete with two R1744 bearing assembly.